KIGALI, Rwanda -- Rwanda's longtime President Paul Kagame easily won a third term in office Saturday in what he had called "a formality." He faces another seven years leading the small East African nation praised for its economic performance but criticized for its silencing of opponents. Electoral authorities said Kagame won 98.63 percent of the vote. Neither of his two challengers won a full percentage point. "This election was criticized so much due to me continuing to be your leader, especially people from outside the country because they oppose the will of Rwandans," the president told jubilant supporters. "But Rwandans have shown that it was not manipulated by anyone but their own will." Kagame has led the country of 12 million people since his rebels helped to end its genocide in 1994 in which more than 800,000 Tutsis and moderate Hutus were massacred by Hutu extremists. The 59-year-old president has been praised for the country's economic growth, but human rights groups accuse his government of using state powers to silence any opposition. Rwandan authorities, including the president, deny it. 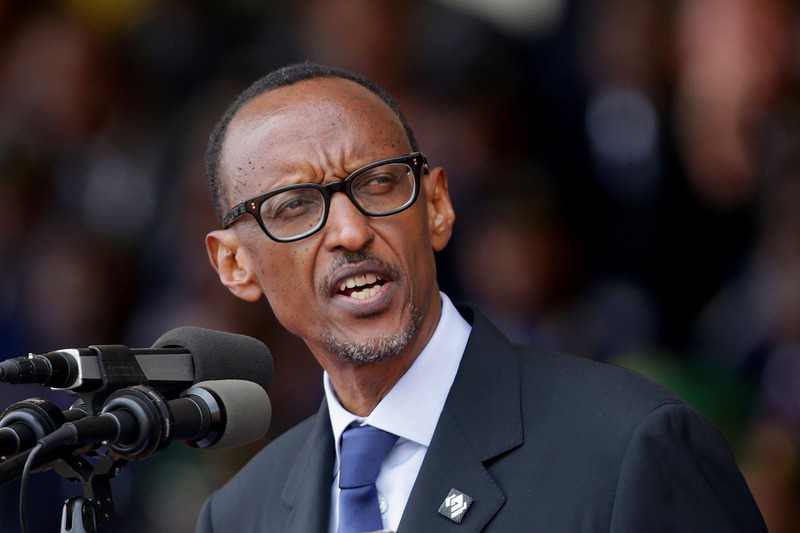 A constitutional amendment in 2015 allows Kagame to stay in power until 2034 if he pursues it. The United States says it is "disturbed by irregularities observed during voting" in the election. A State Department statement on Saturday also says the U.S. reiterates "long-standing concerns over the integrity of the vote-tabulation process." The statement commends Rwanda's media for reporting on complaints of harassment of some opposition candidates. It also says the U.S. remains "concerned by the lack of transparency in determining the eligibility of prospective candidates." Kagame was running against Frank Habineza of the Democratic Green Party of Rwanda - the only permitted opposition party - and independent candidate and former journalist Philippe Mpayimana. Three potential candidates were disqualified for allegedly failing to fulfil requirements including collecting enough signatures. Mpayimana received just 0.73 percent of the vote. Habineza received 0.47 percent. Well over 90 percent of Rwanda's 6.9 million registered voters cast their ballots, according to the Rwanda Electoral Commission. In Rwanda's tidy capital, Kigali, there had been little hint of the coming vote. Candidates had been barred from putting campaign posters in most public places, including schools and hospitals. The electoral commission vetted candidates' campaign messages, warning that their social media accounts could be blocked otherwise. Two decades of often deadly attacks on political opponents, journalists and rights activists created a "climate of fear" ahead of Rwanda's election, Amnesty International said in a report last month. In 2010, Kagame won election with 93 percent of the vote. In July, he told a campaign rally that "the day of the presidential elections will just be a formality."